The ICT Graduate Program opened its doors to new graduates earlier this month. The program, which is run out of the DTA, gives graduates an entryway into ICT in government. Grads work with a dedicated mentor and have the opportunity to get involved with a range of learning and development opportunities whilst being embedded in a participating agency. We asked one of our recent grads, Eloise Aitken, to recount her experiences in last year’s ICT grad program. Caption: Eloise Aitken, ICT graduate at Geoscience Australia. Hi there! 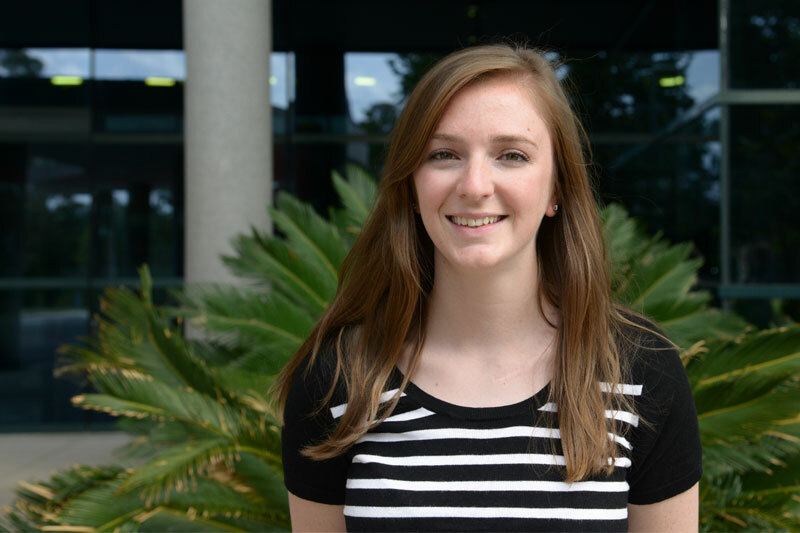 My name is Eloise Aitken and I was a 2016 ICT grad at Geoscience Australia. I joined Geoscience Australia through the ICT Graduate Program and I’d like to tell you a bit about my journey in this program. I’m not your typical ICT grad. I consider myself to be a hybrid. Let me explain - I see ICT as a fantastic way to bring together my passion for science and technology. ICT is a lot broader than people think. I love how far-reaching ICT can be and how it can help all aspects of life. At university I first went down the Earth Science path. I completed my undergraduate degree in geology, which led to Honours in Aqueous Geochemistry at the ANU. After finishing my Honours I decided to pursue postgraduate studies in ICT at the University of Canberra. From my very first ICT class I was immediately fascinated. When the grad recruitment rounds opened in early 2015, I decided to throw my hat in the ring and apply for the Australian Government ICT Graduate Program. The program appealed to me because it allowed me to combine my two passions — ICT and science. There were a lot of different agencies involved in the program but I had my eyes set on Geoscience Australia. Geoscience Australia stood out because of the variety of subjects and projects it works on. I also knew that as a grad I’d have the chance to work on some of them and to utilise my ICT skills. My experience with the application process was extremely positive. I was able to speak directly with the team running the application process. They answered every question that I had as quickly as they could and always kept me up to date. All of the communication felt personal and I was never addressed as ‘Dear Applicant’. I admit I was pretty nervous when I arrived at the interview and speed-dating day, but as soon as I walked through the door the team made me feel comfortable and ready to take on the day! I had the best time during my grad year. I loved being part of both grad programs (ICT Entry Level and Geoscience) and can’t recommend them highly enough. As an ICT grad I got the chance to attend events and university days, all with my ICT grad cohort. We had a great group of people and we still remain friends. If you’re arriving in Canberra as a new grad, you’re sure to meet some life-long friends. And the skills and networking I gained from the ICT grad program remain invaluable today. One experience I won’t forget was an event called ‘GeoHack’ we were asked to run for the university component of the ICT grad program. GeoHack was so successful it was endorsed by executives at Geoscience Australia and has now become a regular event. In fact we will run our first 2017 event later this month. As a grad you complete three rotations working with different teams. This is a great way to get exposure to different parts of the agency and I really enjoyed each of the rotations I worked on. I got to work on some really varied and interesting projects. I did web design and development on the supercomputer at the ANU to analyse satellite imagery and worked on machine learning using Self Organising Maps. I also got to spend 10 days in the field doing geophysical field work in the Queensland desert. It was so much fun! I now have a permanent placement as a software engineer at Geoscience Australia and absolutely love working here. I’m so glad I applied for the ICT grad program. I’ve been given many opportunities and experiences and I would encourage anyone with an interest in tech to apply! Just remember to pack your desert boots! Eloise Aitken is a Software Engineer at Geoscience Australia.